The Lucas County Sheriff’s Office is seeking the public’s help in finding a missing 15 year old. Olivia Grace Kidd was last seen Monday at 7:30 a.m. in Holland at Springfield High School. Olivia is described as a white female, blue eyes, brown hair with blonde highlights. She is listed as 5’3” and about 155 pounds. She is wearing a red Echo sweatshirt with a rhino on the front, blue jeans, a pair of black and white checker Van tennis shoes and is carrying a pink Under Armour backpack. She was seen getting into a black Mitsubishi with spoiler on the back. 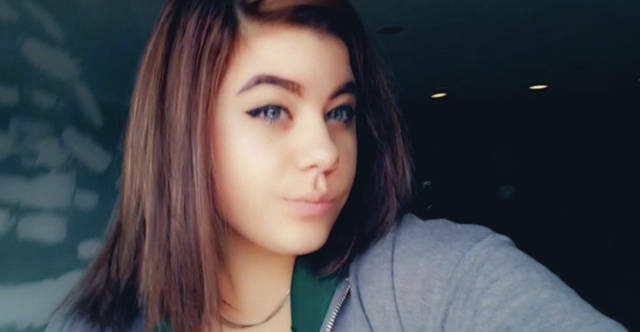 If you have seen Olivia or have any information about her, please contact the Lucas County Sheriff’s Office at 419-213-4977 or Crime Stoppers at 419-255-1111.